Native advertising has generated buzz as a means for advertisers to effectively reach consumers and publishers to generate revenue. However, questions remain about whether viewers are aware they are viewing a paid advertisement. This webinar will take a deep-dive into the FTC’s detailed recommendations on how to develop and implement effective, compliant native advertising disclosures, as well as how marketers are adapting to the challenges posed by FTC’s latest guides. RICHARD CLELAND is Assistant Director of the Division of Advertising Practices at the Federal Trade Commission. 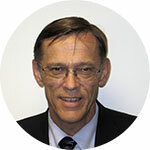 Mr. Cleland joined the Federal Trade Commission’s Division of Advertising Practices in 1991. In 1996, Mr. Cleland was appointed Assistant to the Director of the Bureau of Consumer Protection and, in 1998, he was appointed Assistant Director of the Division of Service Industry Practices. He currently serves as Assistant Director of the Division of Advertising Practices. His primary area of expertise is the advertising and marketing of health-related products and services. He also supervises many of the Commission’s health fraud and weight-loss product and service law enforcement initiatives. Mr. Cleland supervised the FTC’s review of the Endorsement and Testimonial Guides. He recently supervised the revision of the FTC’s guidance on making effective disclosures on the Internet and other digital platforms (.com Disclosures). Recent projects have included social media marketing and native advertising. Prior to joining the Federal Trade Commission, Mr. Cleland served as Special Assistant Attorney General and Director of the Division of Consumer Protection in the Iowa Attorney Generals Office. 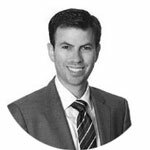 JASON GORDON is counsel at Reed Smith, and a member of the firm’s Entertainment & Media Group. He represents advertising agencies, Fortune 100 brands, media companies, consumer packaged goods companies, and other advertisers in all aspects of advertising, marketing, new media, branding, privacy, mobile marketing, behavioral advertising, right of publicity, and traditional trademark and copyright prosecution and counseling. His practice includes the review of advertising copy, advising with regard to issues such as claim substantiation, false advertising and related intellectual property and privacy/publicity issues, and negotiating and drafting a broad array of contracts, including agency/client agreements, media buying agreements, sponsorship agreements and talent agreements. In the new media area, his practice includes drafting and advising on contracts related to social media, blogging, mobile marketing, behavioral advertising, app development and execution, music licensing, and charitable solicitations. In the intellectual property area, he advises on the protection, maintenance, and licensing of copyrights and trademarks. He also advises clients on sweepstakes, contests, and other promotions. Jason also has experience in resolving complex issues and disputes raising false advertising, unfair competition, copyright infringement, misappropriation of ideas, e-commerce, and contract concerns. Jason is an adjunct professor at Chicago Kent College of Law. He is teaching Advertising and Marketing Law. Jason earned his BA from the University of Iowa, and his JD from Chicago-Kent College of Law. 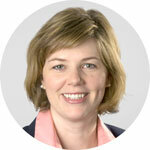 KRISTI WOLFF is a partner at Kelley Drye, & Warren LLP. Ms. Wolff’s practice focuses on food, drugs, dietary supplements, medical devices, personal care and consumer health products, as well as wearable technology and health privacy issues. She has extensive experience advising clients whose products are within the overlapping jurisdictions of the Food and Drug Administration and the Federal Trade Commission. Ms. Wolff handles matters across the full product lifecycle, including concept analysis, claim substantiation, label review, quality and recall scenarios, and contested matters involving the FTC, FDA, National Advertising Division, state attorneys general, and class action litigation. Having served as in-house counsel in the healthcare and food products industries, Ms. Wolff is particularly attuned to balancing business objectives with legal considerations. Her skill in the consumer protection area was recently recognized as she was named a 2015 Washington, DC, Rising Star by Super Lawyers magazine. 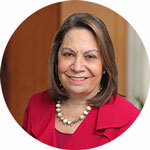 LINDA GOLDSTEIN is a partner at BakerHostetler LLP. She is widely recognized as one of the leading advertising lawyers in the country. She regularly provides advertising counsel and regulatory advice to leading Fortune 500 and Fortune 100 companies in many different product and service categories, including telecommunications, wireless, retailing, publishing, entertainment, digital media, gaming, food and beverage, and financial services. She represents clients in investigative and enforcement proceedings brought by the Federal Trade Commission, state attorneys general, district attorneys, and other federal and state agencies with jurisdiction over advertising and marketing practices, and she has handled some of the highest-profile matters, setting industry precedents. Immersed in all aspects of the digital media ecosystem, Linda spends much of her time advising clients on how to minimize the legal risks associated with mobile marketing, e-retail, online communities, social influencers, native advertising, email and telemarketing, sweepstakes and contests, fantasy sports leagues, and casual gaming. Linda also handles all transactional matters relating to the dissemination of advertising campaigns, including sponsorship agreements, agency-client agreements, talent and music agreements, and production agreements.